Dr. Lourdes Massa is your local home town Dentist. Dr Massa and her husband have enjoyed living in Jarrell since 2013. She has been a practicing dentist for more than 25 years. 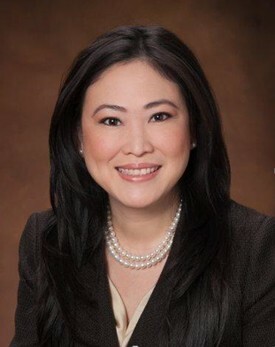 She earned a Doctor of Dental Surgery degree from the Loma Linda University School of Dentistry and a Doctor of Dental Medicine Degree from the University of the Philippines. She also served as an Asst. Professor at Loma Linda University School of Dentistry. Dr. Lourdes Massa is an active member of the American Dental Association, Texas Dental Association, the Central Texas Dental Society, the American Academy of Dental Sleep Medicine, the International Association of Orthodontics and the Omicron Kappa Upsilon Dental Honor Society. Since 1990, Dr. Lourdes Massa has actively participated in various community services rendering dental service to school children and the underprivileged. She is currently an active volunteer with the Jarrell Community Emergency Response Team (C.E.R.T. ), the Jarrell Lion’s Club, the Jarrell Chamber of Commerce and the local parish Legion of Mary. In her free time, Dr. Lourdes Massa loves to sew, draw and paint. She thrives on being around friends and family. Her husband, Dr. Gary Massa is a Board Certified Endodontist. They enjoy travelling together and learning about different cultures! They also enjoy exploring nature. With this love of nature, they decided to leave the “concrete jungle” of Los Angeles for Texas’ beautiful Jarrell Hill country where they have their home. Dr. Massa is your local home town Dentist.